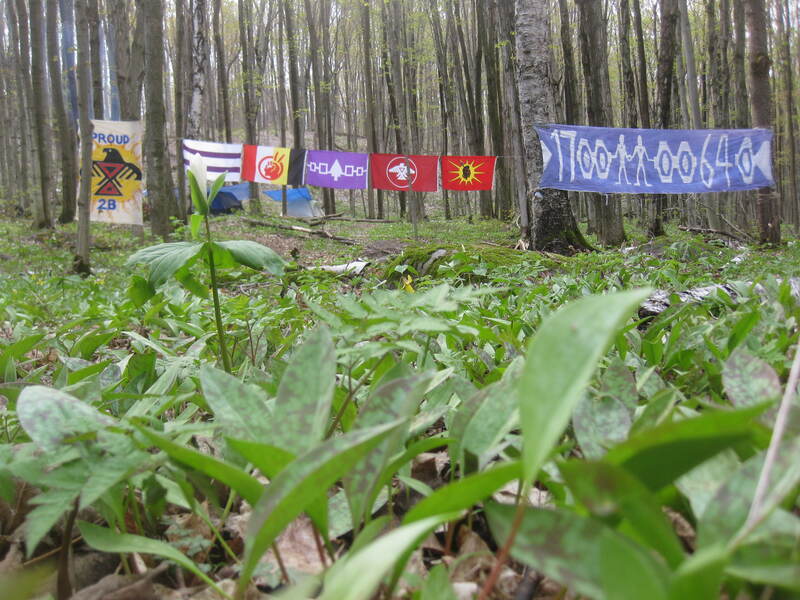 Organizers of an Anishinabek Awareness Encampment that has been occupying Coldwater Canadiana Heritage Museum for the past three weeks have announced today their camps relocation in Awenda Provincval Park located in Tiny Township. “We didn’t want to create any issues with the town of Coldwater where the museums Board of Directors have asked us to leave. We wanted to remain obligated to our peace and felt that any alternative actions would’ve sidetracked our message.” explains Kai Kai Kons, one of the camps organizers. The organizers have been calling their initiative the Oshkimaadziig Unity Camp where they say they want to mobilize and educate all people on the Nation to Nation Relationship the Crown has with Sovereign Indigenous Nations as well as their Intertribal Agreements. They also wish to see the Crown held accountable for breaching such agreements. “We choose Awenda Park because of the ties we have to this area. This is one of the Gathering places where our Hereditary Chiefs and People would meet to have Council. It is one of five gathering areas woven in the Ojibway Friendship Wampum Belt which we have with the Six Nations Confederacy.” explains Kai Kai Kons. Organizers of the Camp say their initiative is a result of First Nations accepting Canada’s Land Claim Settlement Offers which breach the Constitution and the established Nation to Nation Agreements. “There is no avenue for us to opt out of these illegal processes and to assert our Sovereignty. We wish to remain who we are and abide by our teachings and agreements set out by our ancestors.” explains Memeskwaniniisi another of the Camps Organizers. Park Warden and OPP Emeregnecy Response Team plain clothed officers are closely monitoring this peaceful cultural gathering. Oral History and various teachings from Elders and Youth. i think this is a good thing that you are doing and i would love to help out in any way i can. i tried to call the 705 number but it seems to be screwed up.